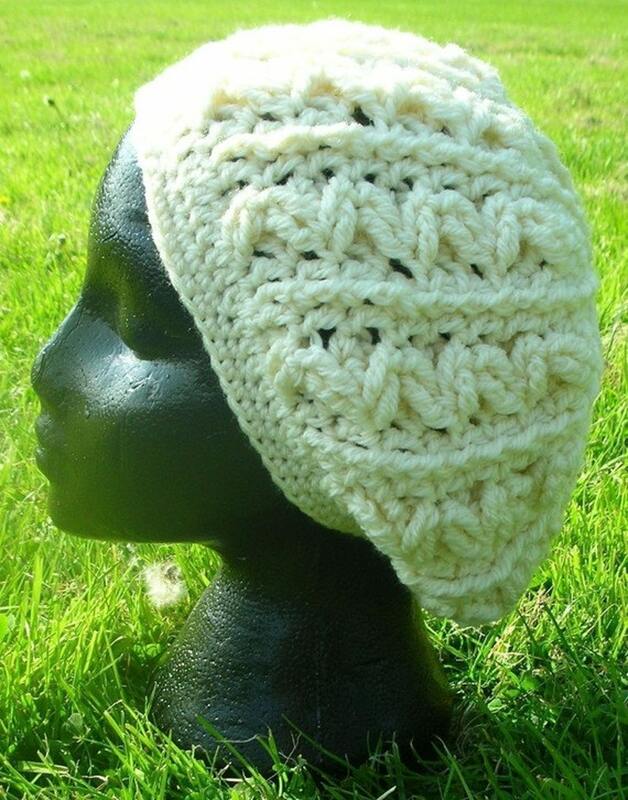 This stylish slouch hat sports an easy crocheted cable which makes it ideal for your first cabling experience. The US and UK stitch versions are included in the pattern. This hat measures 22-inches around the brim, and 9 inches from the top of the hat to the brim edge. A size adult regular, but can be made smaller with the use of smaller hooks. Versatility is a must with my patterns, and this one is no exception. Crochet more cabled rows for a longer hat, decrease rows for a beanie, change hook size to change hat size and so on.